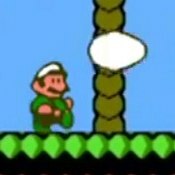 Description: This is a Adventure Island inspired Bootleg featuring Mario as the main character. Also has Yoshi in it. Throw boomerangs and go through all sorts of crazy levels! Another weird one Enjoy!